Bill McKibben is not a person you'd expect to find handcuffed and behind bars, but that's where he found himself in the summer of 2011 after leading the largest civil disobedience in thirty years, protesting the Keystone XL pipeline in front of the White House. With the Arctic melting, the Midwest in drought, and Irene scouring the Atlantic, McKibben recognized that action was needed if solutions were to be found. Some of those would come at the local level, where McKibben joins forces with a Vermont beekeeper raising his hives as part of the growing trend toward local food. Other solutions would come from a much larger fight against the fossil-fuel industry as a whole. 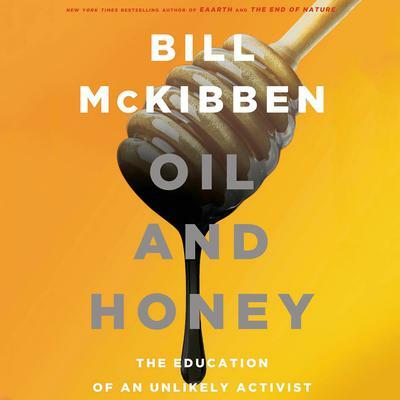 Oil and Honey is McKibben's account of these two necessary and mutually reinforcing sides of the global climate fight—from the center of the maelstrom and from the growing hive of small-scale local answers to climate change. With empathy and passion he makes the case for a renewed commitment on both levels of the fight to stop global warming, telling the story of raising one year's honey crop and building a social movement that's still cresting.